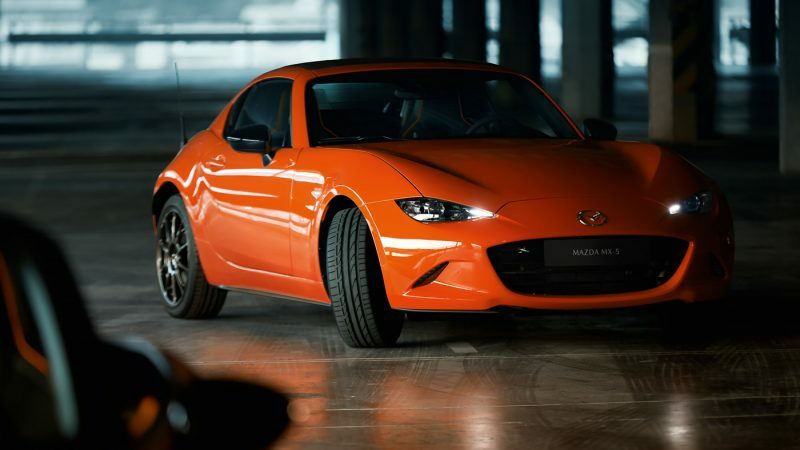 HomeNewsThere are only 3,000 units of the Mazda MX-5 30th Anniversary Edition, manual only! 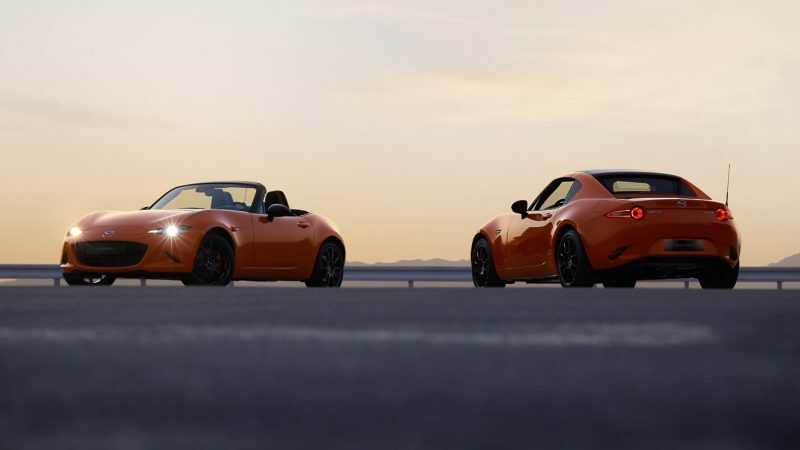 There are only 3,000 units of the Mazda MX-5 30th Anniversary Edition, manual only! 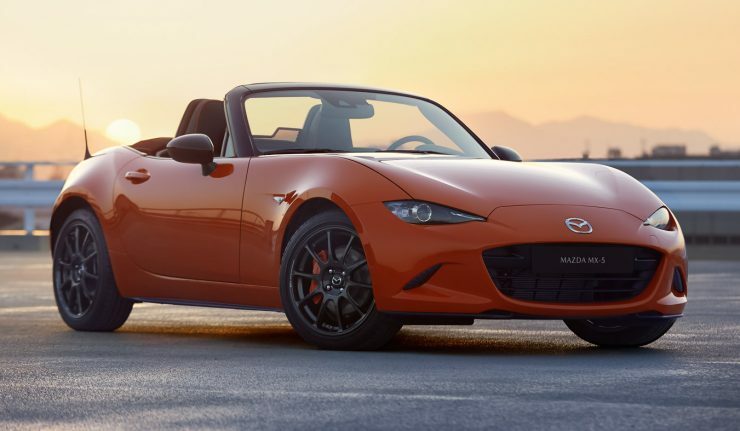 After 30 years and more than 1 million units sold, Mazda is celebrating the success of their popular roadster with the Mazda MX-5 30th Anniversary Edition. 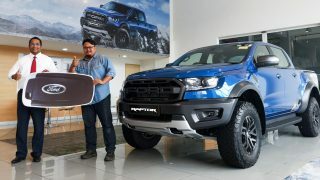 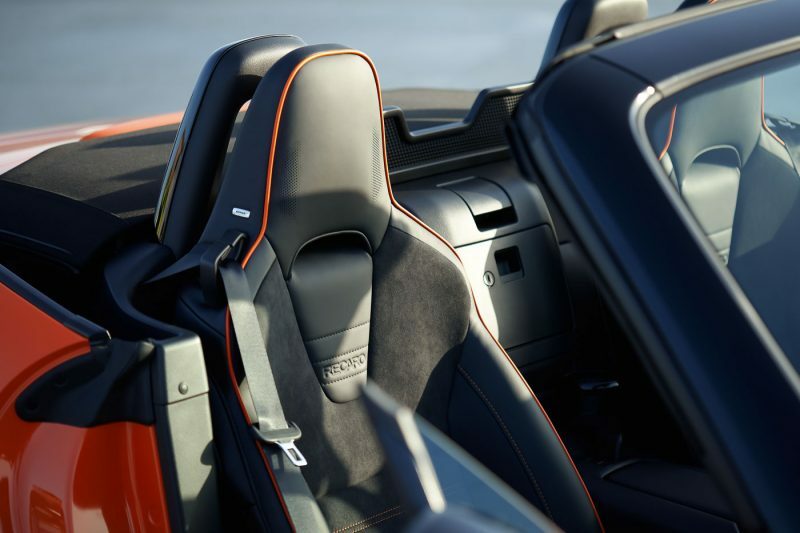 Only 3,000 units of this special edition model will be available globally and the car will make an appearance at the 2019 Chicago Motor Show. 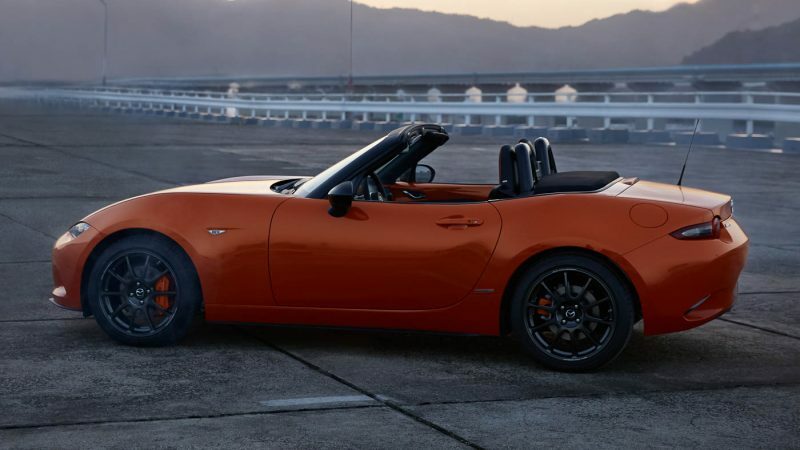 The 30th Anniversary Edition is exclusively offered in Racing Orange body paint and can be ordered as either a soft-top convertible or the hard-top RF. 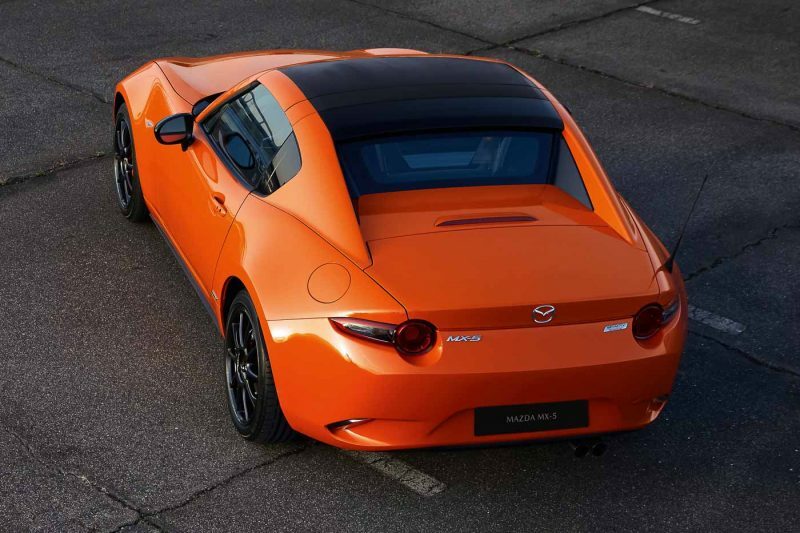 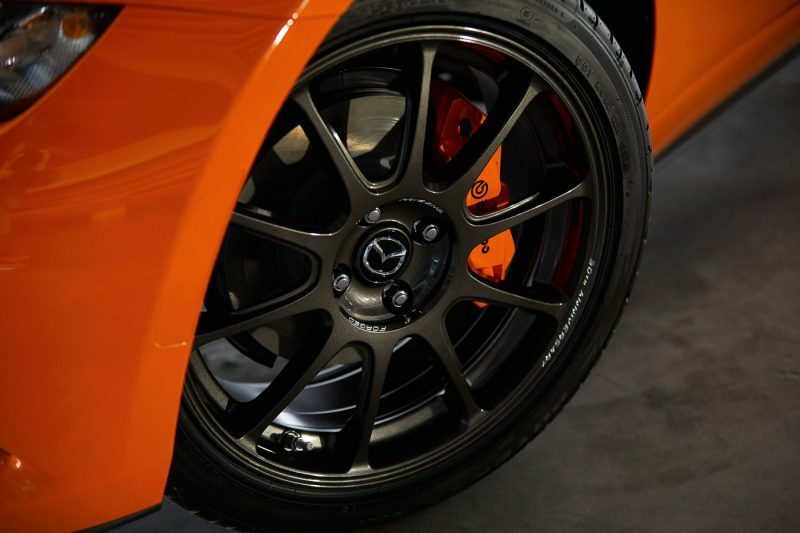 Unique touches found on the striking orange MX-5 include black forged aluminium Rays wheels, Brembo front brakes with Orange calipers, anniversary number plaque and black two-tone roof on the RF version. 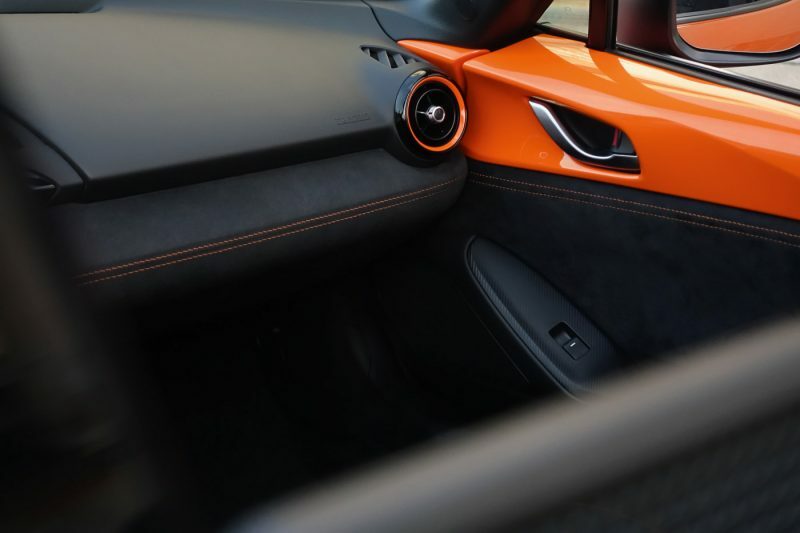 The Orange theme continues to the cabin with orange accents on the seats, door trim, dashboard, air vents and Recaro Seats. 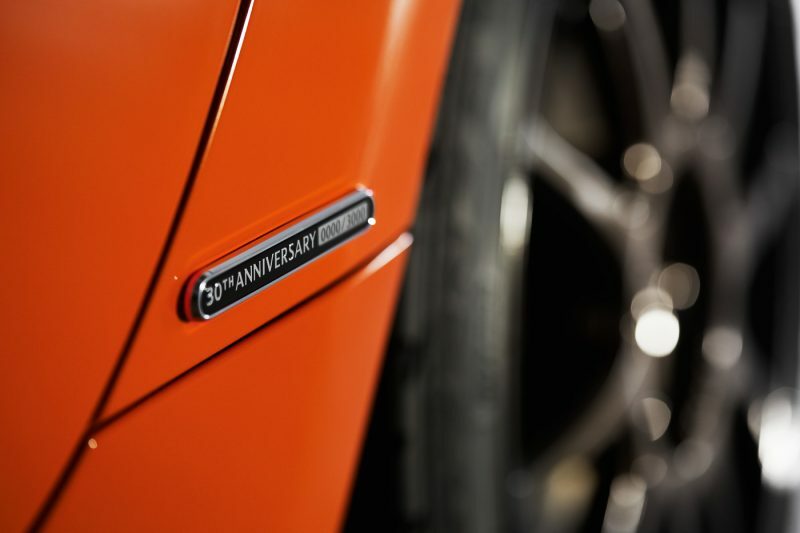 The 30th Anniversary Edition also features Apple Carplay and Android Auto as standard. 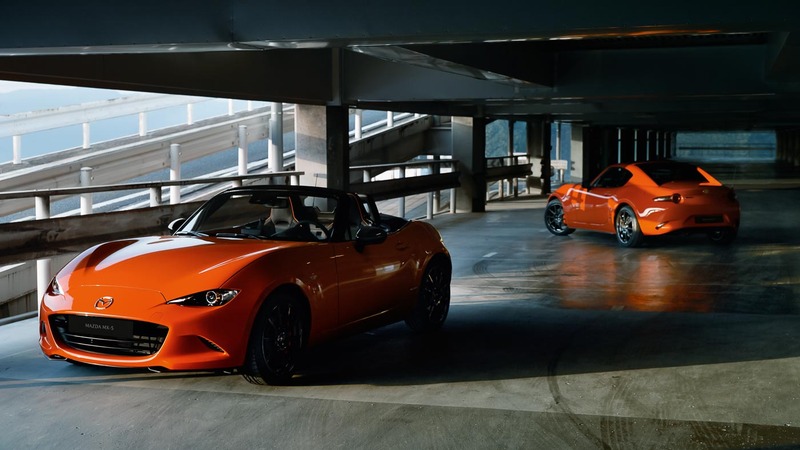 Under the hood, the 2.0-litre naturally aspirated four-cylinder SkyActiv-G petrol engine makes 184 hp and is paired exclusively with the six-speed manual transmission. Other performance-enhancing bits include Bilstein dampers strut-brace and limited slip differential are standard on the 30th Anniversary Edition.